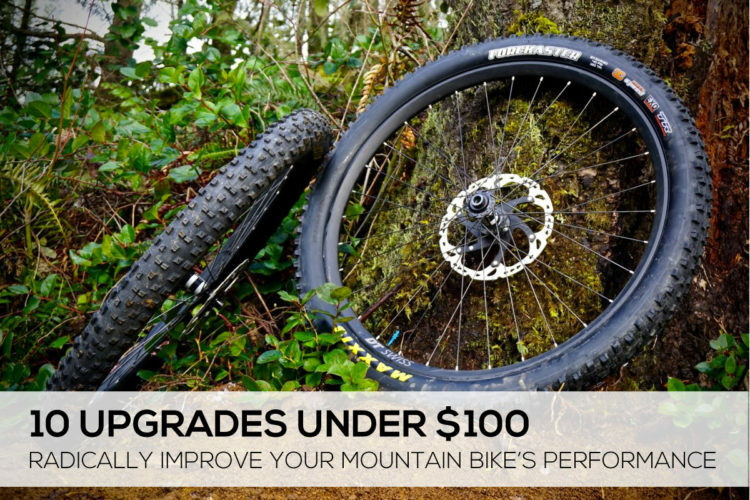 So, you’re planning on purchasing or assembling your dream bike for the upcoming MTB season. What size should you choose? How long of a stem do you need? 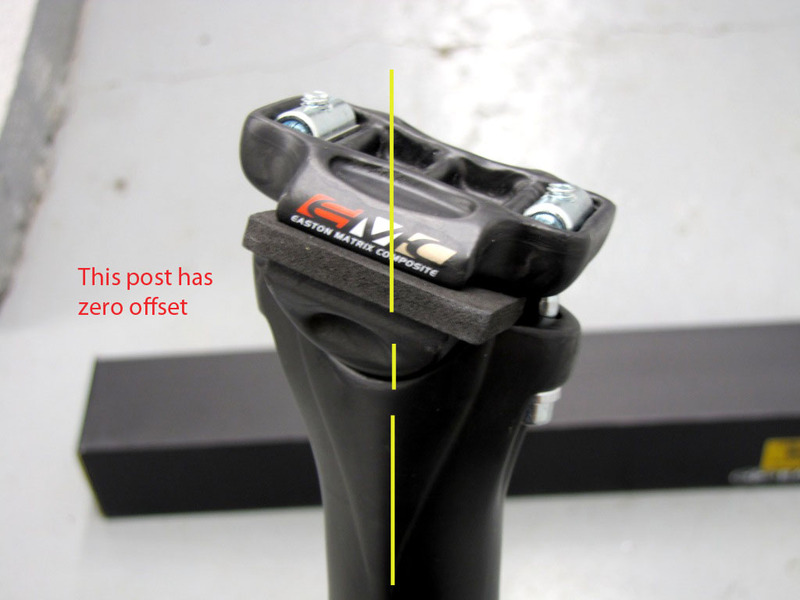 Should you get a setback seatpost? What’s the right bar width? 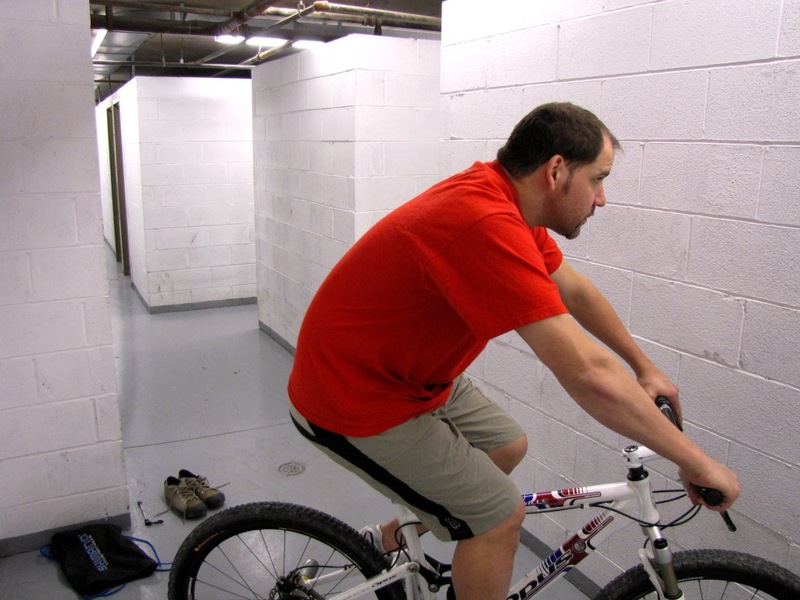 I’ll try to answer all these questions and more in this article on mountain bike fitting. 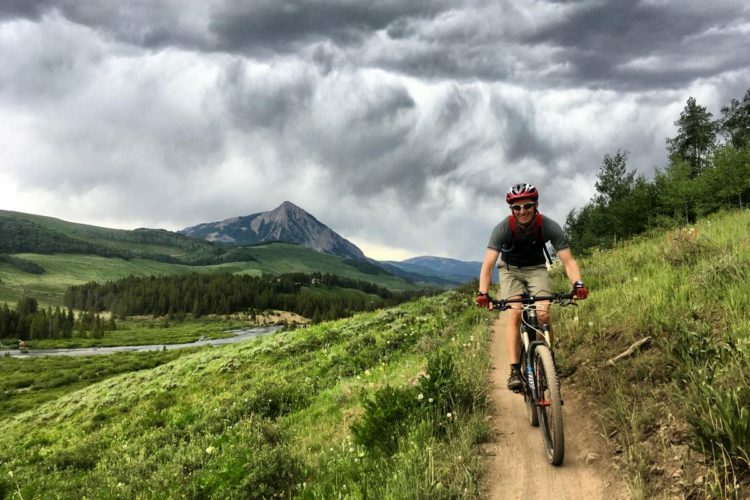 Most bike shops do a good job helping customers find the right frame size and you can always double check by taking a peek at the bike manufacturer’s website or catalog. The size chart below is an example and as you can see there is a range for every frame size. 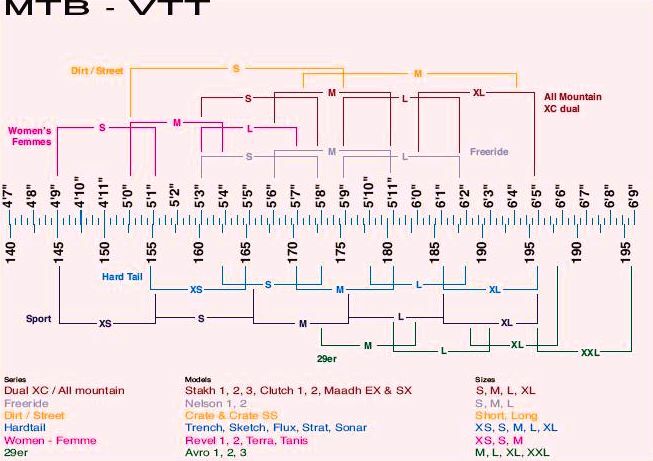 Beyond height, this chart doesn’t take into account specific body measurements (torso size, leg length, etc.) and that’s where component fitting comes in. So… it’s really up to you to get the perfect fit. Some bike shops offer fittings, usually at a cost nowadays (not including parts which is an additional cost). But looking at your body and sitting on the bike with someone holding you on, you can get a good idea of what fits or what feels best for you. But before you spend your cash, let’s cover the list of things we can change on the bike, what those changes will feel like, and what a retailer shop should be able to do to accommodate you when you purchase that shiny new bike. 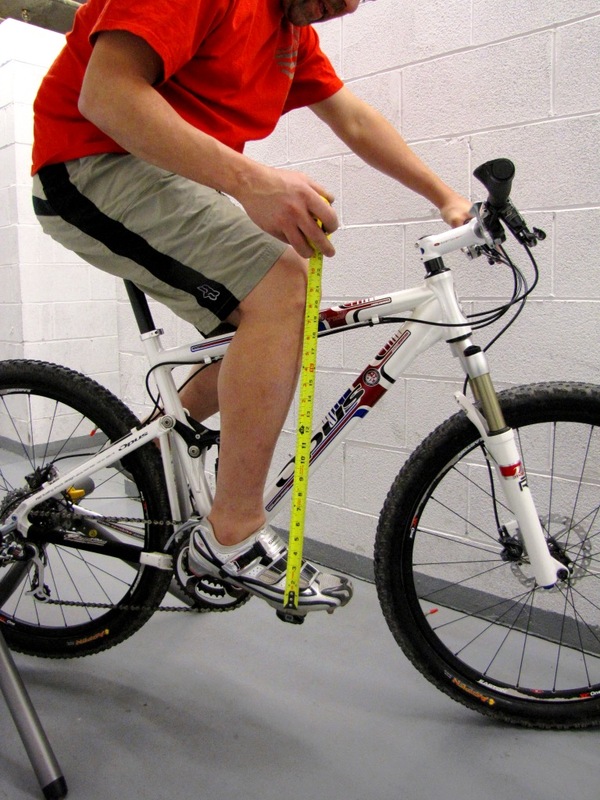 Getting the right mountain bike frame size is paramount. If you’re in between sizes and are planning on really riding rough, you may want the smaller size rather than the larger (easier to bail when things go wrong). 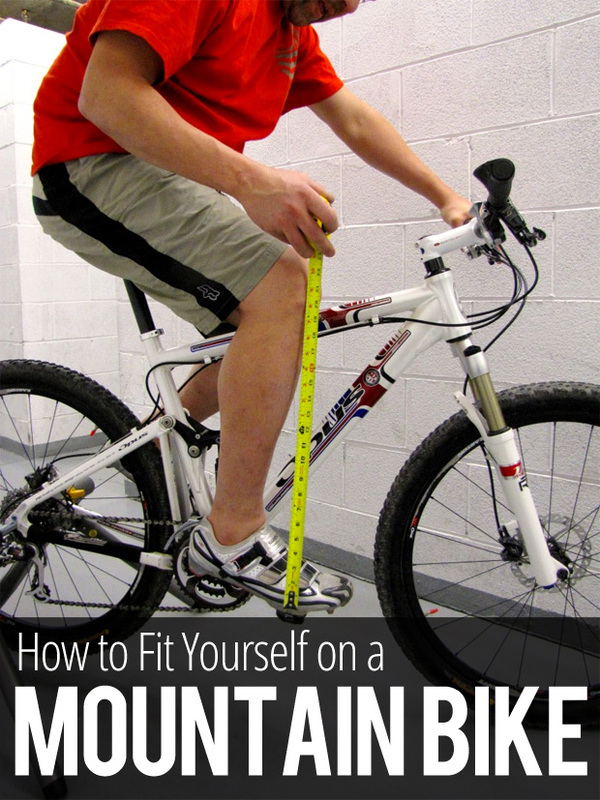 Use a sizing chart to get an idea of where you fit, then check the actual bike. Hop on the bike and if possible, go for a test ride. You should also be able to get a sense of what’s going on with the fit just by sitting on the bike and pedaling backward. At this point you should feel more or less comfortable: not up too high and stretched or too low and cramped. You should also be able to place your feet flat on the ground when you dismount the bike. Stand over height is a bit more difficult to gauge these days due to the newer, sloping top tube frames which give the illusion that the frame is smaller than it is. Instead, I focus my attention on the top tube length. To find the right seat tube length, take your inseam (legs 6 inches apart) and multiply by .67 then subtract 4 inches. For example I have a 33 inch inseam. Multiplied by .67 I get 21.75 inches, take 4- 5 inches away I end up with a 17.5 inch frame set (which happens to be what I use). Sometimes due to your specific body type or riding style a wider than stock bar can be a good choice. As the handlebars widens, it allows more steering torque (great for nasty terrain) and slows your steering down. A bar change on its own will also pull you forward a bit. A wider bar also makes it easier to breathe as it encourages you to open your chest more when huffing up a hill. The good news is that most bike shops are willing to change to a wider bar if necessary. Once you have your bar width, work on shifter and brake positioning. Try to set both so your wrist is not bent in an awkward angle and there is a small degree of freedom there – about 15 degrees. Anything more than that and you are at risk of hurting yourself. 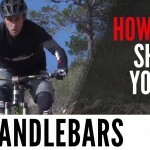 Video: How Wide Should Your Mountain Bike Handlebars Be? Riders with disproportionate leg to torso sizes will want to take a look at changing up stem length for a more comfortable riding posture. A longer stem typically pulls the rider forward and flattens the back. The result is slowed steering and more traction to the front wheel. A comfortable back angle, depending on your degree of flexibility. A natural feel to look ahead without craning your neck. There are a few solutions here. Firstly take a look at where your stem meets your steering tube. You may see a few spacers – if so great! You can adjust the shim stack position relative to the frame which will raise or lower the stem and bar. For example, placing all the shims below the stem will raise your bar up by that amount. If you don’t have shims, you may need to get either a riser bar or a riser stem. 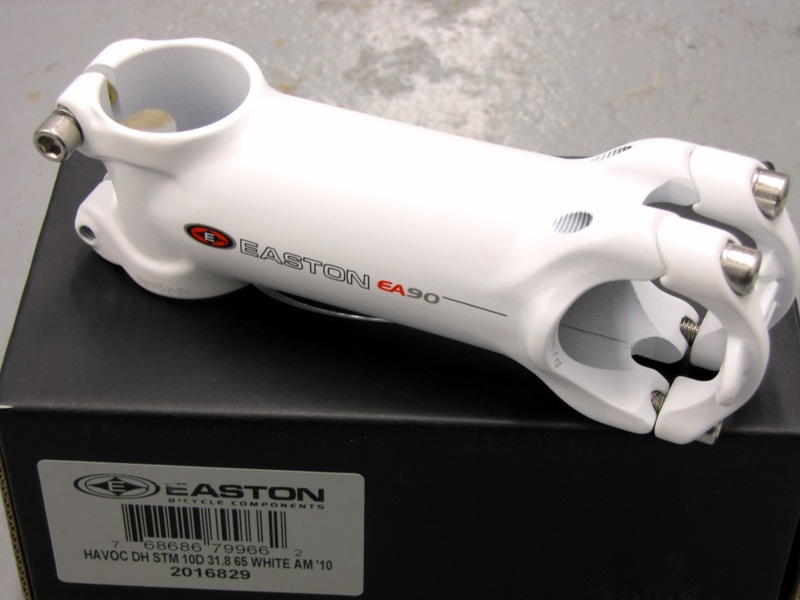 Easton sells the EA50 stem with either 6 or 20 degrees of rise. You can also choose from flat bars, mid rise bars (about 20mm), or full rise bars (from 35mm to 45mm depending on the model). 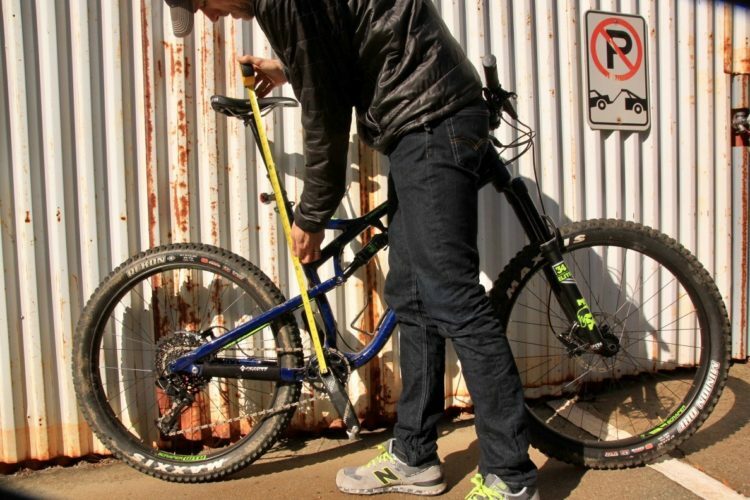 Once you have the right frame size it’s time to set the seat post height and setback (for you folks who ride DH, FR, and DJ this does not apply). Starting with the seat parallel with the ground, set the cranks so that they are in line with your seat tube, projecting a straight line through the BB and to the floor. 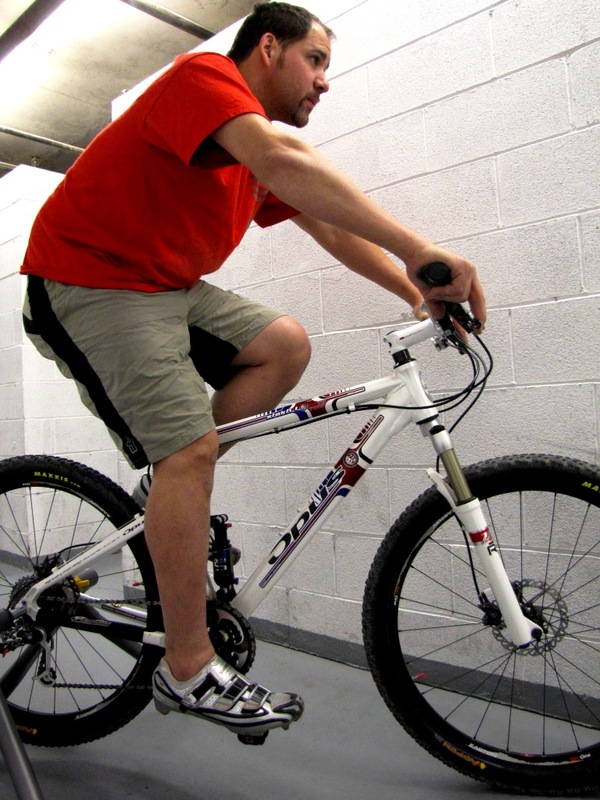 Hop on the bike and have someone support you while you position your feet on the pedals – ball of the foot on the axle and foot slightly pointing forward a couple degrees. You should not have your leg fully extended – there should be about 10-15 degrees of movement before your leg locks straight. You can also use this formula as a decent starting point: Take your inseam measurement and multiply by .883. The result is the ballpark measurement from the top of the lower pedal center of the bottom bracket to the top of the saddle. From here you may need to go up or down a quarter of an inch until it looks and feels right. With the basic seat height position set, it’s time to check positioning front to back. With the cranks set at 3 and 9 o’clock, get a piece of string and tie a weight to it. Sit on the bike in your riding position and pedal backwards a few strokes and stop at 3 and 9 o’clock again (you’ll need a spotter to help). 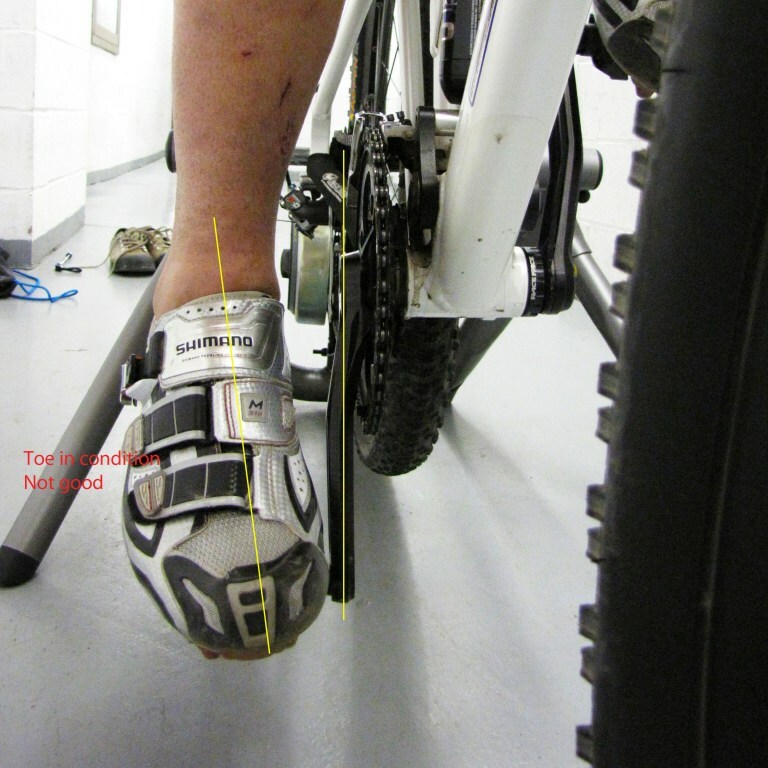 Hang a plumb line or weighted string from your tibial tuberosity (bony protrusion just below your knee cap) and have a look at where the string intersects your crank – it should fall right in line with the pedal axle. If the string falls forward or behind, just slide the seat on the post to fix your positioning. If you can’t adjust the seat far enough you may need to change your seatpost offset. 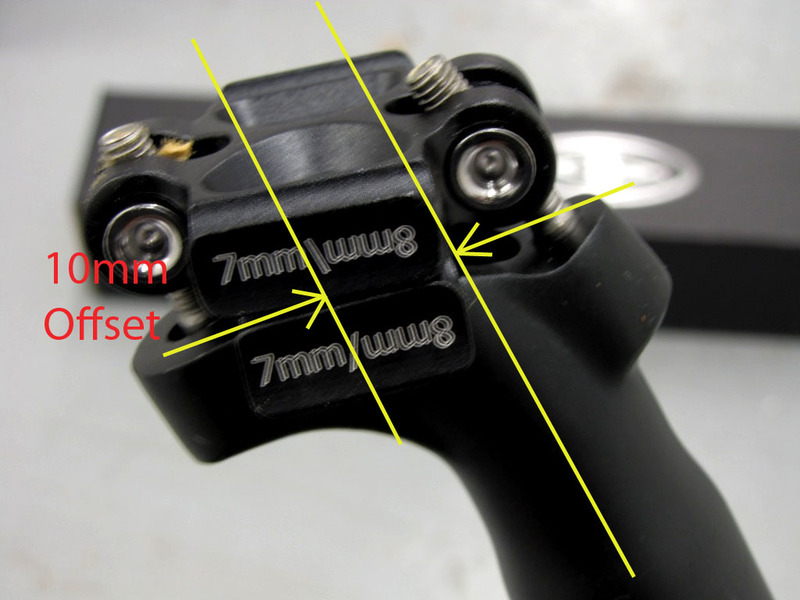 There are seatpost offset options you can purchase from zero offsets all the way to 25mm offsets (see images below). You may want to consider changing up your crank arm length as well. Most manufacturers offer MTB cranks from 165mm to 180mm, usually in 5mm increments. The proper crank arm length is typically dependent on the rider’s height and inseam. 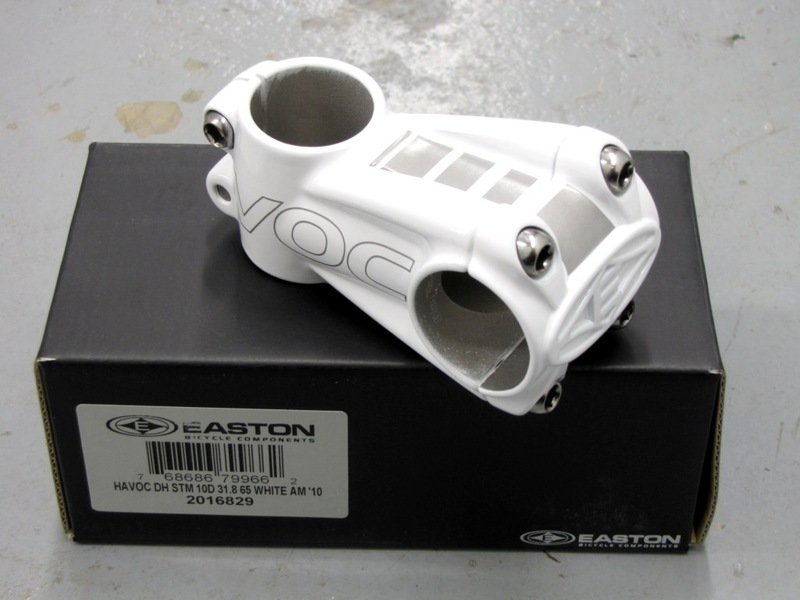 So a short person (5′ – 5′.5″) may want to consider 165- 170mm cranks. 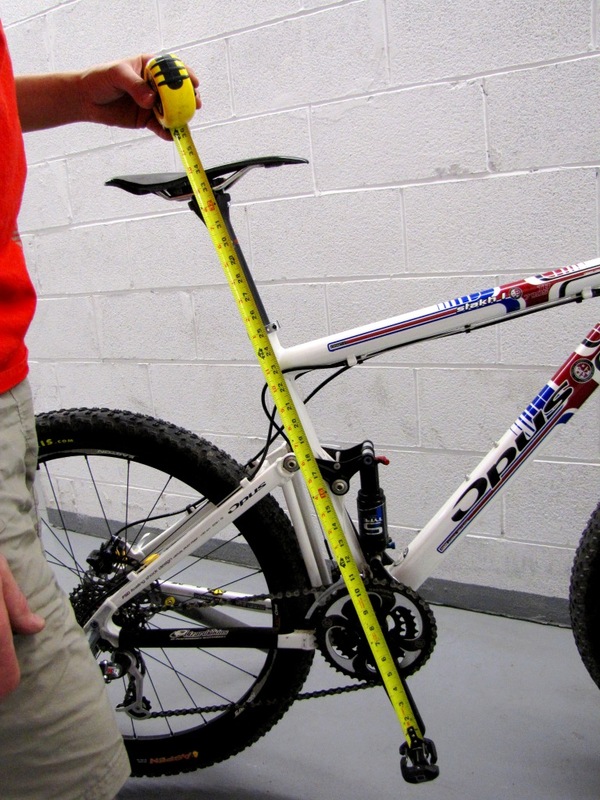 For someone from 5′.5″ – 5′ 10″, a 175mm usually works well and taller folks may want to consider 175mm+ cranks. Now if you have short legs, a shorter crank arm may be a better choice. Or if you’re a quick peddler, a shorter crank arm may be the way to go as well. 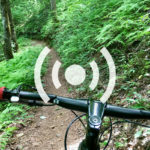 This next section will help you consider a few items that can give you that “at one” feeling with your bike. There are really just 3 spots where body meets machine: handlebar grips, saddle, and pedals. Before we talk about bar grips you should understand the two basic classes of grips. There are the lock-on types that are gaining popularity and the conventional style that holds onto the bar with friction. The difference? About $20. Seriously though, locking grips do work a bit better because they don’t slip and are easily removed and installed using an allen key to tighten. 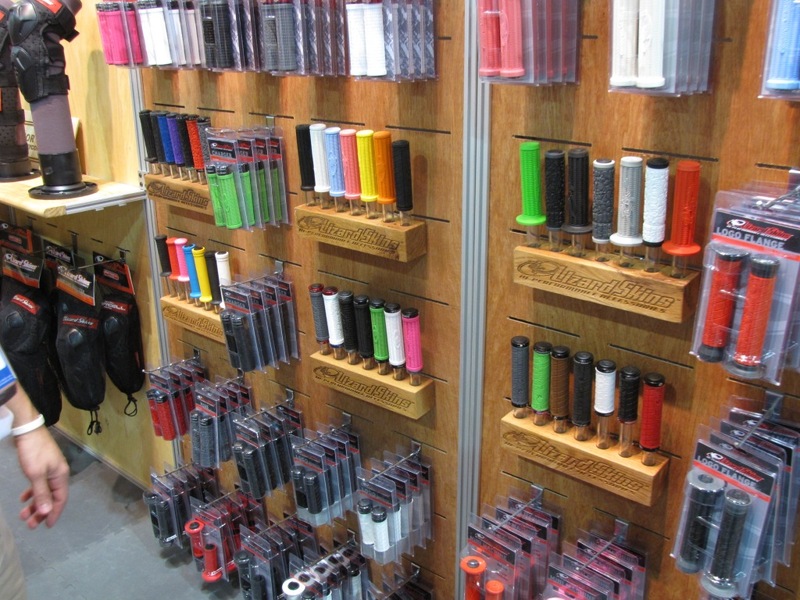 Saying all that, there many MTB grip choices on the market today. When choosing consider a few things: What is your riding style? Are you an epic kinda person who will spend hours on the bike or are you a DH / FR type who needs maximum grip? Setting up your cleats is probably (in my opinion) the second most important fitting task. 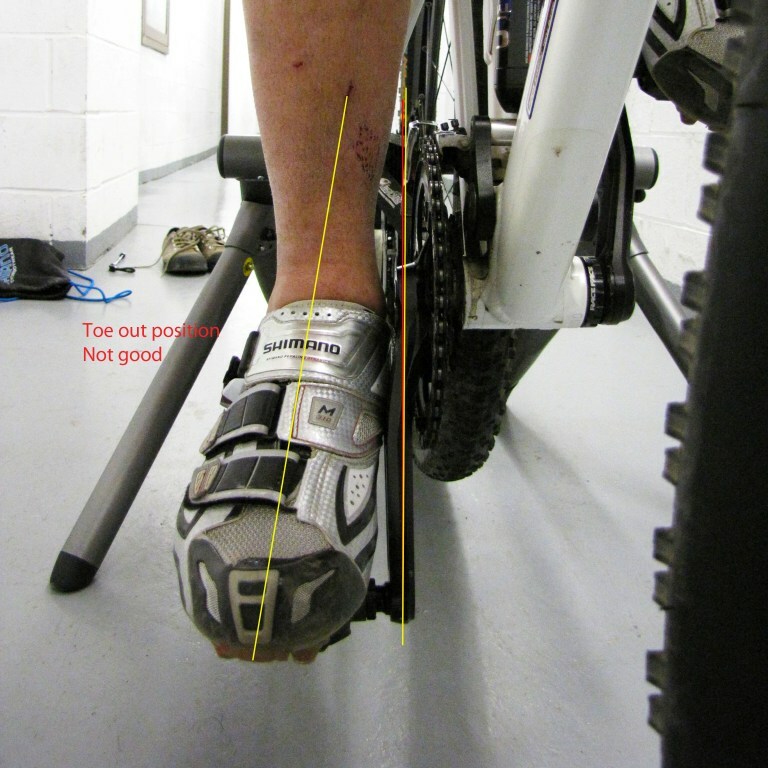 After all, the wrong positioning will increase strain in the knee and results in a less-than-ideal pedal stroke. 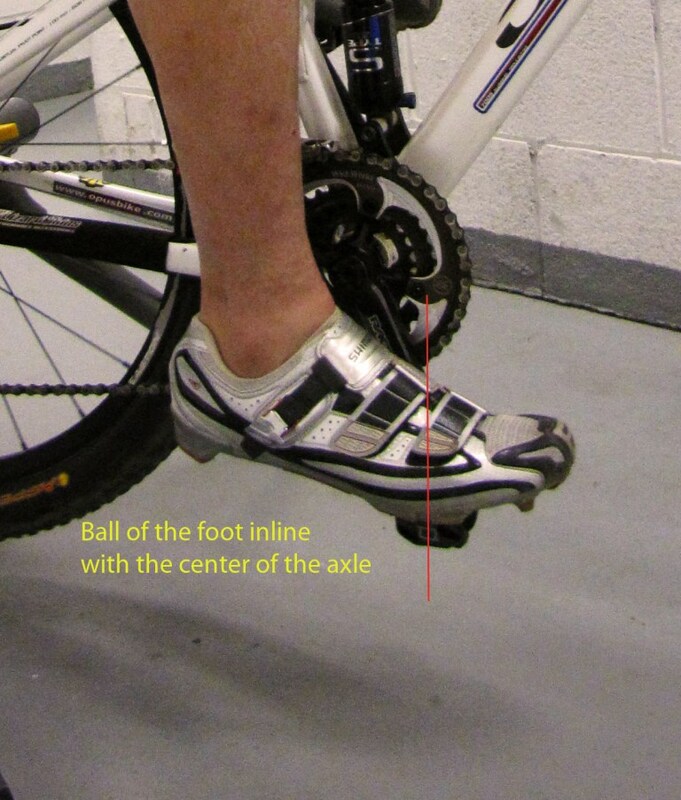 Ideally you want the cleat set up so that if you draw a line from the center of the pedal axle up it will intersect with the widest part of your foot (where you apply the most force). Use a mirror to take a look at the front of your feet and make sure they run parallel with your crank arms. This position will ease the load on your knee and ensures your feet will release from the pedals. One final note: many pedals feature adjustable tension and it’s often a good idea to start with the lightest tension where your feet barely wiggle (float). What you don’t want is a super solid feel to the pedal-shoe interface that hinders your foot’s natural tendency to twist on the back stroke. Selecting the right MTB saddle depends on a few things. 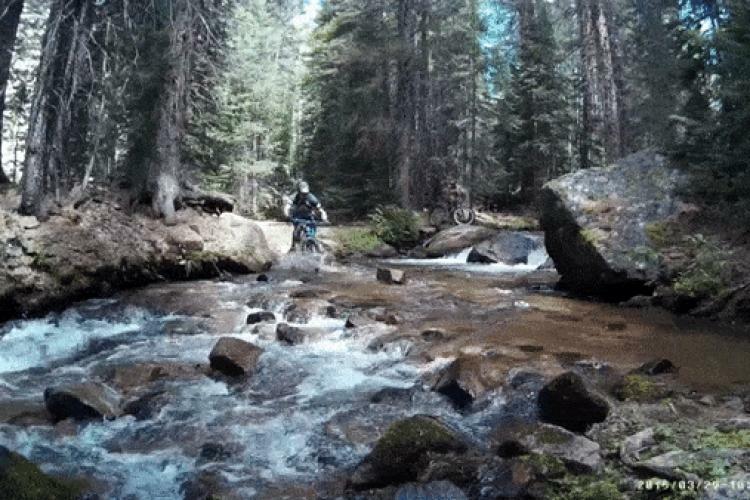 For one, consider the type of riding you’ll be doing: racing, long epic rides, DH, etc. Do you need extra padding because your current saddle is killing you? Aside from padding and support, take a look at saddle width. In short, your pelvic bone should match up to the widest part of the saddle. So if a saddle feels good, it’s probably the proper size for you. 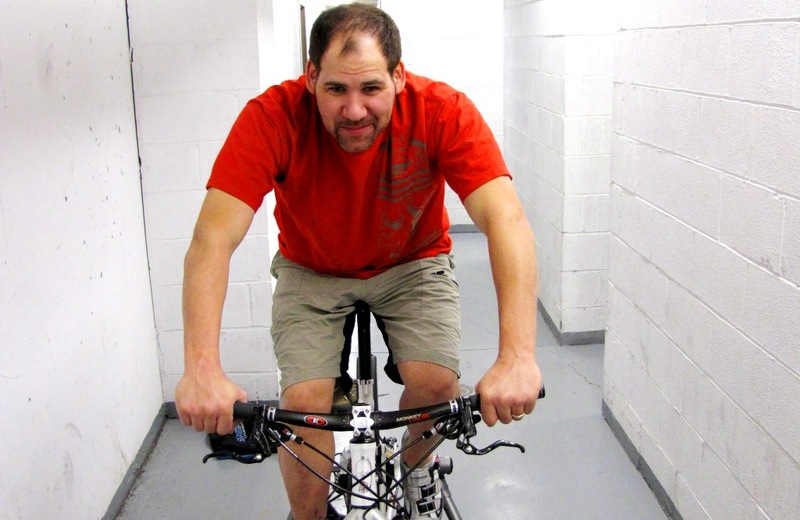 This is by no means a definitive article on bike fitting but it’s based on years of personal experience fitting myself and others on their bikes. If you have question feel free to ask and I can clarify further as there are many more variables that can change a measurement or two in relationship to what was mentioned in this article. A quick thanks to the good folks at OPUS for the sizing chart. Nope you are right…I used to road race years back and that habbit stuck. Shaving did come in handy a few times when I got hurt bad a few times and needed medical attention on my legs. Saved time shaving them anyhow before they could do what they needed to. Yeah I know…Once a roadie always a roadie….BUT I refuse to believe that! 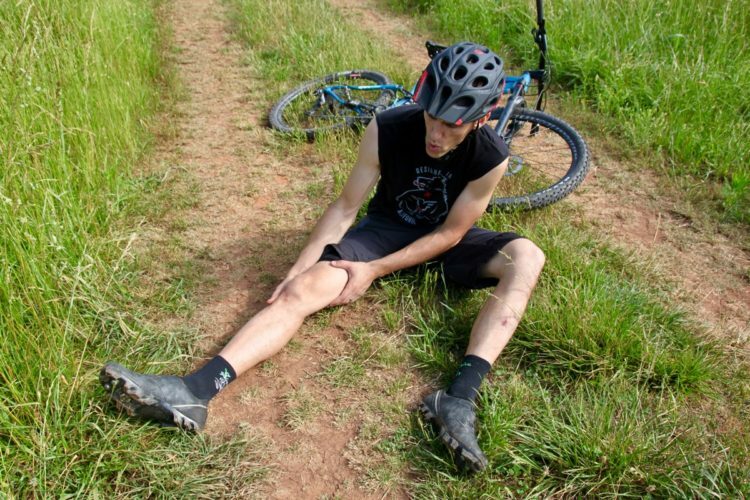 I am mountain biker…HEAR ME CRASH! Errr ummmm…Thats not it..Ohh Yeah..Hear my fly into the trees!!?! …No…No..Thats not it either…OHH right! Hear me scream in panic as I get airborne in the trails…. Good tips and advice on how to find the right fit on a MTB. But I found the best way to find the right bike is to go to Demo Days and actually ride the bike on trails. Sheldon Brown also opines that TT length is more important than ST length. Yes I did sorry, I just corrected that..
Now remember. Some frames are sized slightly different than others. 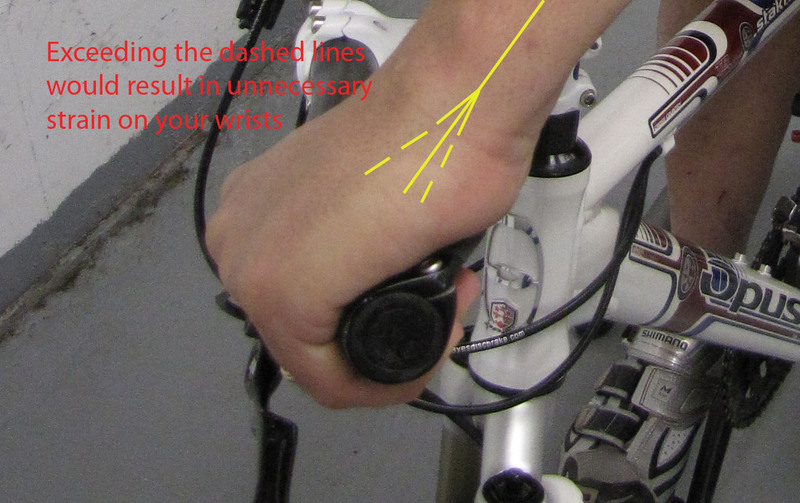 Hence make sure to check to top tube as well as that sets you upper body on the bike as well.. Depending on frame design or where the manufactures take the measurement of the frame your looking at + / – an inch. Example some take the measurement from the center of the BB to the top of the seat collar while other take it from the center of the BB to the top of the top tube.. I love the graph you have up there, but what should my wife do? She is 6’1″ and is therefore off your chart!! Your wife will go with a Mens frame either a Large or XL… That depends mostly if she is porportunate or not…If she is longer in legs the go with a man large…But remember if this is a store purchase make sure things like saddles and stems and such are taken care of there. Usually stores will be happy to get the right saddle on the bike for your wife as well as correct stem length. Hi, I’m a newbie so please bear with me. When setting the seat height should you measure your inseam in inches or mm and shoes on or off? I have the same 33″ inseam as you (840mm) if I multiply this by 0.883 I get 741mm. I’m pretty sure that measuring this from the pedal, even +/- a quater inch is wrong. Do you mean from the Bottom Bracket centre? Hi…NO worries. You have to measure with the shoes on. When setting the seat height we are taking the measurement from the pedal axle to the top of the seat. Having the crank arm inline with the frame and seatpost. Reference images 10 and 11 (counting from the first page image). OK. Sorry I still don’t understand. If the inseam measures 850mm (shoes on now) Is that is the same as sitting on the seat that is 850mm high with your feet flat on the floor. If I then multiply this by 0.883, that is a reduction of around 12 %. 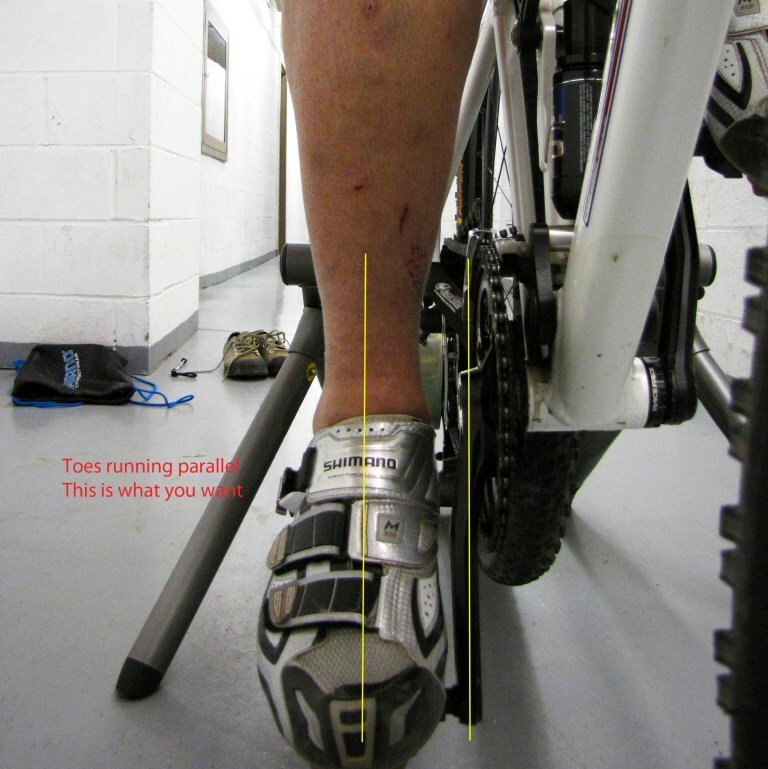 Or a measurement of 750mm from pedal. That seems to put the saddle very low, it is 4″ lower than sitting on the saddle with a straight leg and your heel on the pedal. Is that right? give or take the quarter inch. An old article resurrected from the archives! 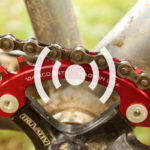 This answers lots of basic questions and can actaully bennefit new and experienced riders alike. @Nick (ndisney): you are correct. To determine saddle height using .883 x inseam, you measure from the center of the bottom bracket to the top of the saddle. the seat height info is wrong. take your inseam x .883 and that = the measurement from your BB to the top of the seat, NOT from your lower pedal to the top of your seat. The measuring method that I wrote has been compiled by my experience and from other well know professional bike fitters..Today with the explosion of high quality fitting racks, you can take it to the next level. But to be honest.. It is never that easy as you may think. Cleat position should be the first adjustment made, and the cleat starting point should be at the end of the lever arm,for stability and balance purposes. The frame choice should be based on femur length, pick the frame that you can most effectively get your knee over the pedal center. For mountain biking you may find it easier to manage the events if your seat is low enough so you can clear it while pedalling threw the obstacle. If your seat hits you at the obstacle contact, your momentum is robbed simultaneously. Number calculations are for roadbiking.